WHAT IS THE WILLIAM G. ‘BILL’ STEELE, JR. MINI-GRANT PROGRAM? Since 1998, the Rotary Club of San Marino has sponsored the Mini-Grant Program for Classroom Innovation to encourage local educators to strive for innovation and creativity in the classroom. This year, we have made a few changes to the application. First, we are excited to offer $1000 maximum per single application and $1000+ for joint applications to be awarded for qualified special projects submitted by teachers of students from kindergarten to twelfth grade in the San Marino Unified Schools, St..Felicitas and Perpetua School, Clairbourn School, and Southwestern Academy. Also, we have changed the application timeline so that more teachers participate. Mini-grants are awarded to interactive learning projects that will have a long-lasting impact in local classrooms that would not otherwise have the necessary funding. NOTE: The mini-grant is NOT intended to purchase supplies and equipment unrelated to classroom innovation. Applicants must describe in detail how the materials will improve innovation in their classroom. 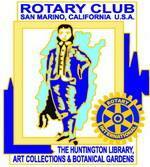 In 2006, the Rotary Club of San Marino recognized the passing of a long-time member, Bill Steele, Jr, and renamed the program to the William G. ‘Bill’ Steele, Jr. Mini-Grant Program. William G. ‘Bill’ Steele, Jr. was a member of the San Marino Rotary Club for over 33 years, served as President of the Club from 1979 to 1980, and resided in San Marino for many years. Bill Steele was a life-long supporter of educational activities and was an early champion of the Mini-Grant Program. He passed away in 2006. Any kindergarten through twelfth grade Certificated teacher in San Marino High School, Huntington Middle School, Carver Elementary School, Valentine Elementary School, Clairbourn School, St.Felicitas and Perpetua School, and Southwestern Academy. WHO DETERMINES THE AWARD PROGRAM RECIPIENTS? The selection committee consists of a panel of Rotarians with experience in education and business. HOW DOES THE COMMITTEE SELECT THE RECIPIENTS? The committee will review all applications and evaluate the proposed projects on the basis of creativity, innovation, clarity, and overall benefit to the students. Grant awards will provide funds for materials, equipment, and other resources necessary to carry out a proposed project. Specialized education trips will be considered only if they are an integral part of the proposed innovative activity. WHAT IF THE BUDGET FOR THE PROPOSED PROJECT EXCEEDS THE $1000 MAXIMUM? The Mini-Grant Program is funded by the William G. ‘Bill’ Steele, Jr. Mini-Grant Program, which receives generous donations from members of the Rotary Club of San Marino, individual residents, and business partners in our community. ARE THERE ANY REQUIREMENTS FOR THE AWARD PROGRAM RECIPIENTS? The recipients will be expected to send in 1-3 minute video or pictures and a write up of the completed project and outcomes. In May, select teachers are invited to present their project and outcomes at one of our Rotary lunch meetings. Visit this site and see projects were awarded in years past.